Jim Henson's The Storyteller: Giants is a collection of mythic tales of when giants roamed the Earth, inspired by folklore from around the world and told in the spirit of Jim Henson’s beloved television series. 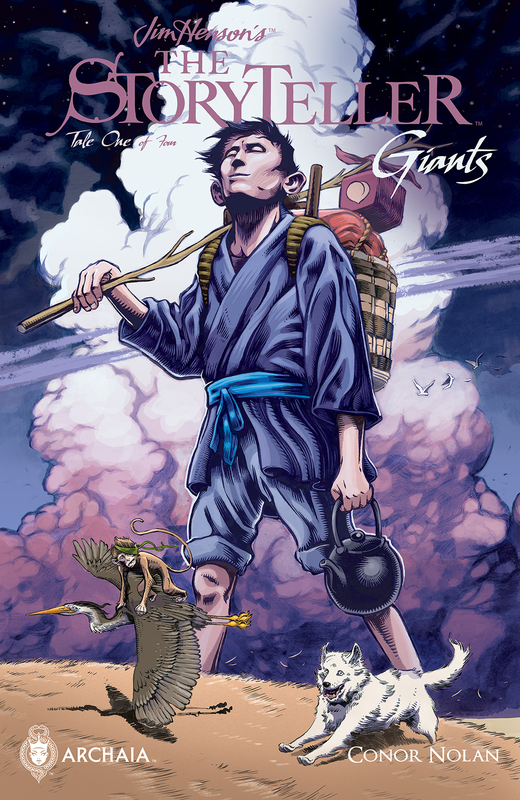 In this first issue, rising newcomer Conor Nolan reimagines the “The Peach’s Son,” a Japanese tale of a giant who was raised by humans but never accepted by them. When a nearby village is overrun with evil beings, the giant will take a chance to be a hero and prove himself to be part of the community he calls home. Upcoming issues will include stories by Brandon Dayton, Jared Cullum, and Feifei Ruan. Boom Studios will be revealing more information about Jim Henson's The Storyteller: Giants after New York Comic Con. BOOM! Studios will have four exclusives available for sale at its booth, #1828, at New York Comic Con. 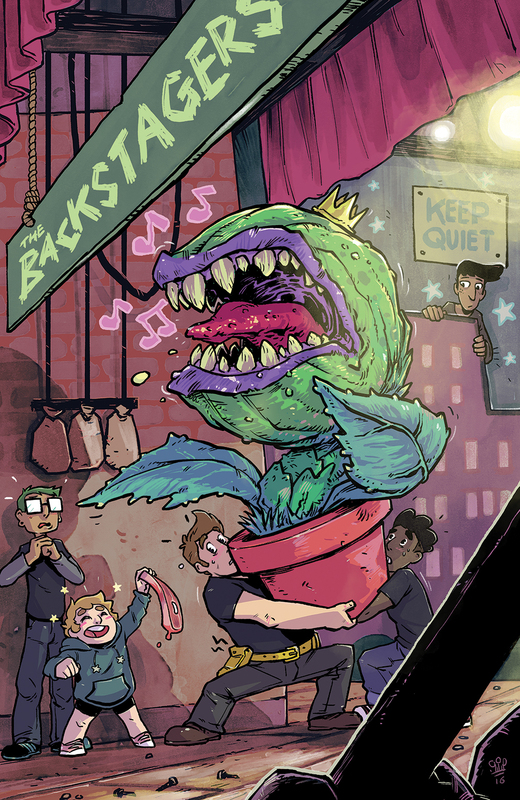 The Backstagers #1 Publisher: BOOM! Box, an imprint of BOOM! Studios Writer: James Tynion IV Artist: Rian Sygh Cover artist: Michael Dialynas Price: $10.00 Our continuing theme of paying homage to classic musicals on the covers to The Backstagers continues with this tribute to Audrey II from "Little Shop of Horrors," rendered by The Woods artist, Michael Dialynas. 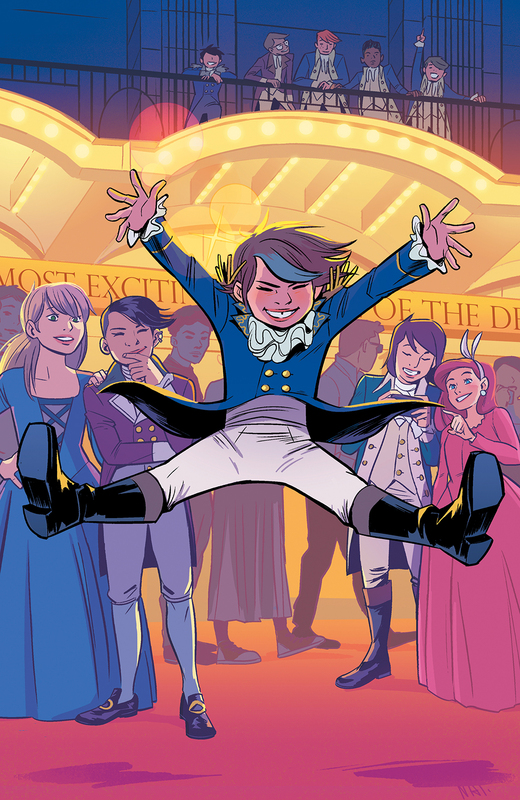 Lumberjanes #29 Publisher: BOOM! Box, an imprint of BOOM! Studios Writer: James Tynion IV Artist: Rian Sygh Cover artist: Natacha Bustos Price: $10.00 "Hamilton" is the hottest Broadway show to hit New York City, appropriate for resident Lumberjane Ripley to pay the musical a visit, as illustrated by Moongirl and Devil Dinosaur artist, Natacha Bustos. 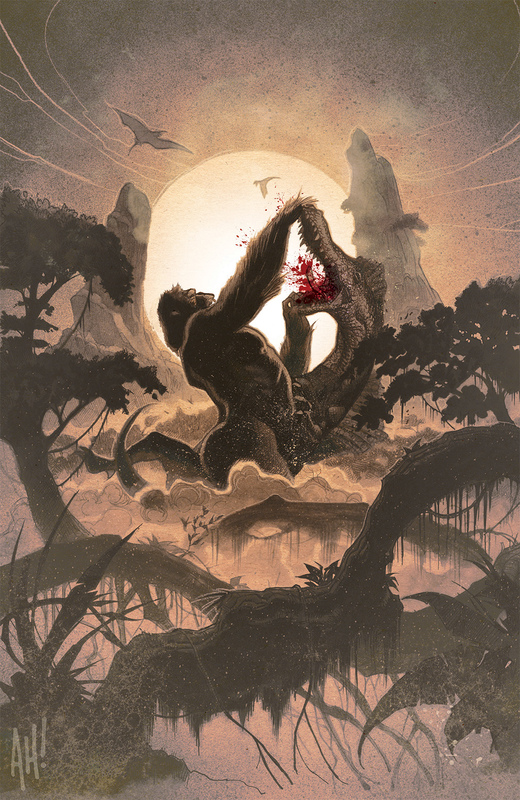 Kong of Skull Island #1 NYCC Exclusive Publisher: BOOM! Studios Writer: James Asmus Artist: Carlos Magno Cover artist: Adam Hughes Price: $10.00 Superstar cover artist Adam Hughes (Wonder Woman, Betty and Veronica) pays homage to the most famous ape of all time in this visceral image. 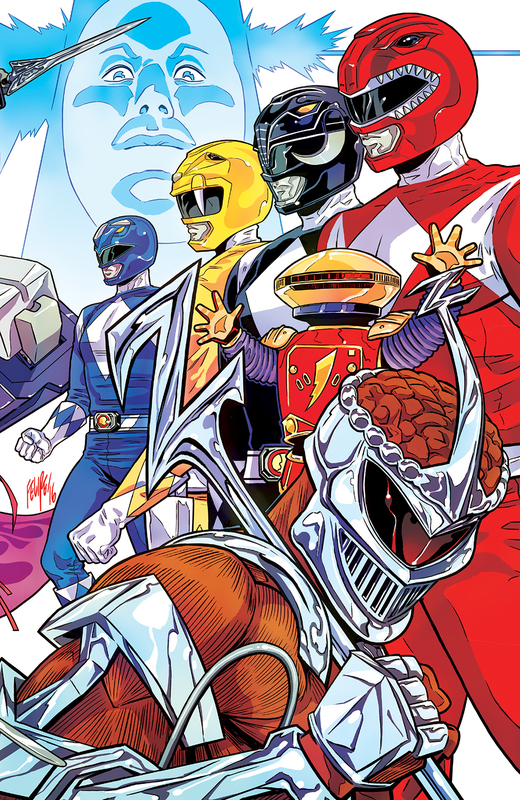 Mighty Morphin Power Rangers 2016 Annual NYCC Exclusive Publisher: BOOM! Studios Writers: Kyle Higgins, Ross Thibodeaux, Marguerite Bennett, Trey Moore, James Kochalka, Jorge Corona Artists: Rod Reis, Rob Guillory, Huang Danlan, Terry Moore, James Kochalka, Jorge Corona Cover artist: Felipe Smith Price: $20.00 The fourth and final part to Felipe Smith's (Ghost Rider) connecting covers is a New York Comic Con exclusive for the MMPR Annual! The previous three covers appeared on the Mighty Morphin Power Rangers #0 WonderCon exclusive, the Mighty Morphin Power Rangers #1 Emerald City Comicon exclusive, and the Mighty Morphin Power Rangers: Pink #1 San Diego Comic-Con exclusive. Are you headed to NYCC '16? and if so will you be adding any exclusives to your shopping list? Let us know in the comment section below.